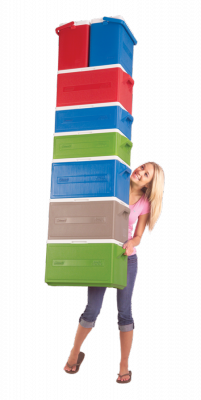 he celebration starts when the Coleman® 48 Can Party Stacker™ Cooler makes it to the get-together. 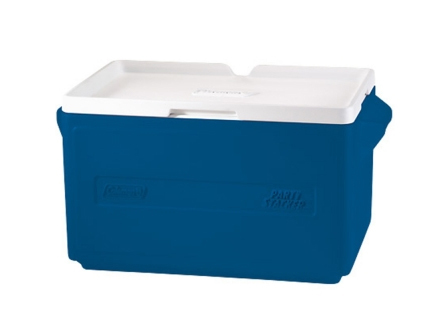 The cooler’s lid is specially-designed to interlock with the bases of other Party Stacker™ coolers for easy, organized fun. Pick up a few. Use one color for drinks and other colors for food, so everyone knows where to go for their favorite treats. The chest is large enough to hold two cases of soda and wide enough to fit a 13 in. x 9 in. dish. 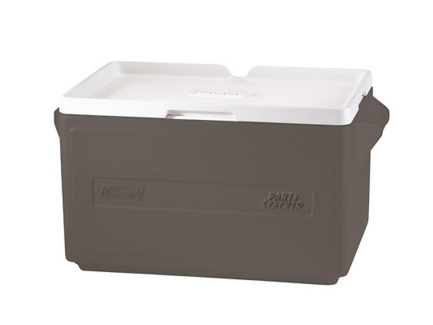 When you’re ready to pick up and move, the molded handles make carrying more comfortable.